I've got some new honey jars which are slightly smaller than the originals. 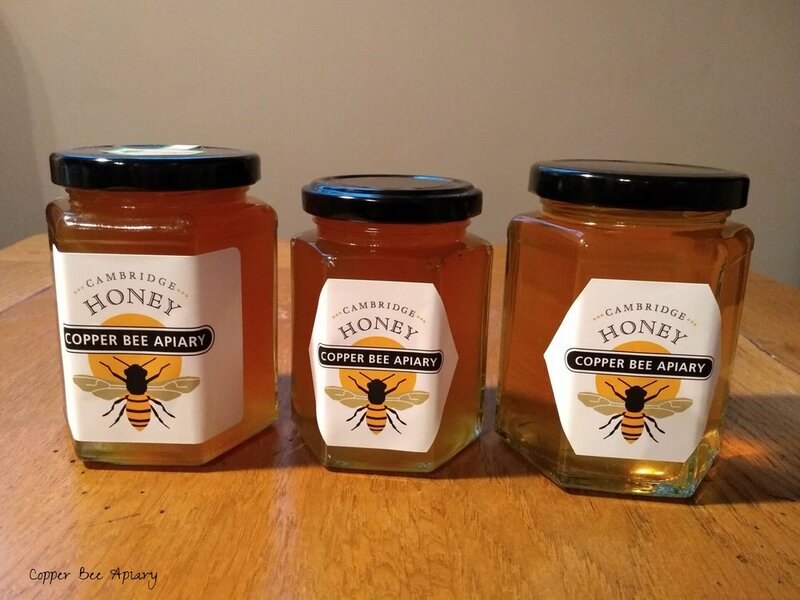 These jars hold about 250g honey rather than 350g. It's useful to have both sizes. I can fill more of the smaller ones and therefore have more to give to people. And apparently some people don't actually eat much honey (I know, weird). For both jar sizes, I decided to switch from gold lids to black lids. I think the black lid marries well with the black bar on the label. More controversially, I'm changing the shape of at least some of the labels. I opted for hexagonal labels for the new smaller jars. 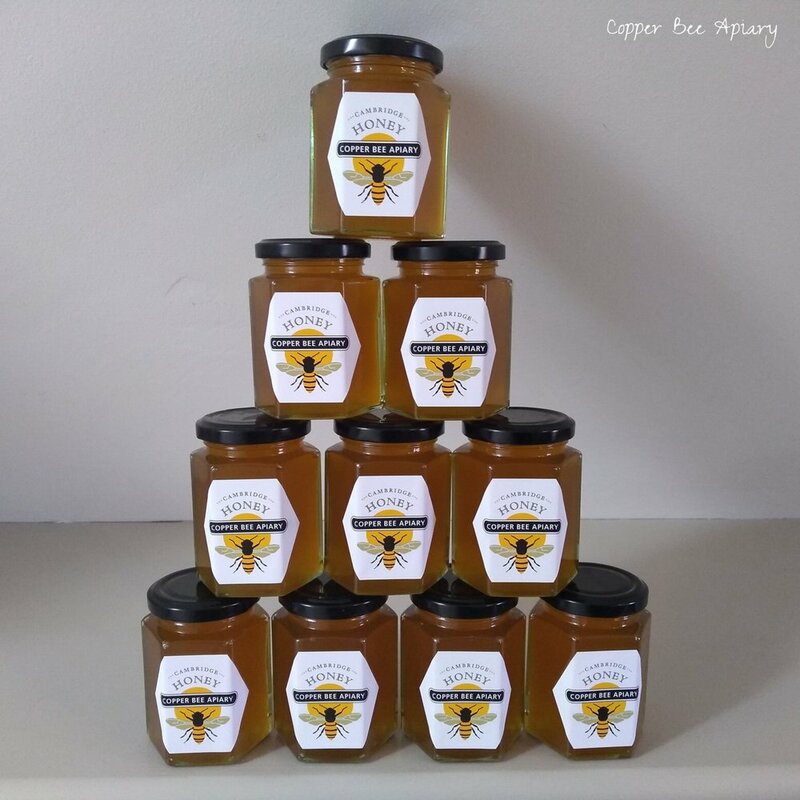 I liked the hexagonal labels so much that I decided to put them on the bigger jars too. Disagreement then arose within the household as to which label shape looked better on the big jars. Rectangular or hexagonal? After my initial burst of hexagonal enthusiasm, I’m wavering. The bold square-shouldered look of the bigger jars makes them easier to distinguish from the smaller jars at a glance. 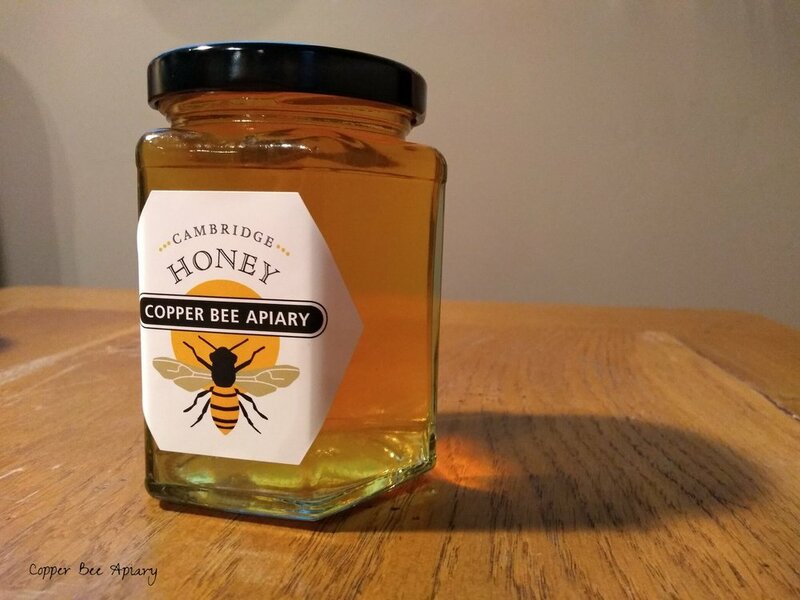 Which, of course, is bound to come in useful when my turnover in honey sales reaches the heady scale that I imagine in my delusions of beekeeping grandeur. Two big jars. Which label shape is better? So what do you think, readers? Rex or Hex? I’ll let you into a secret. 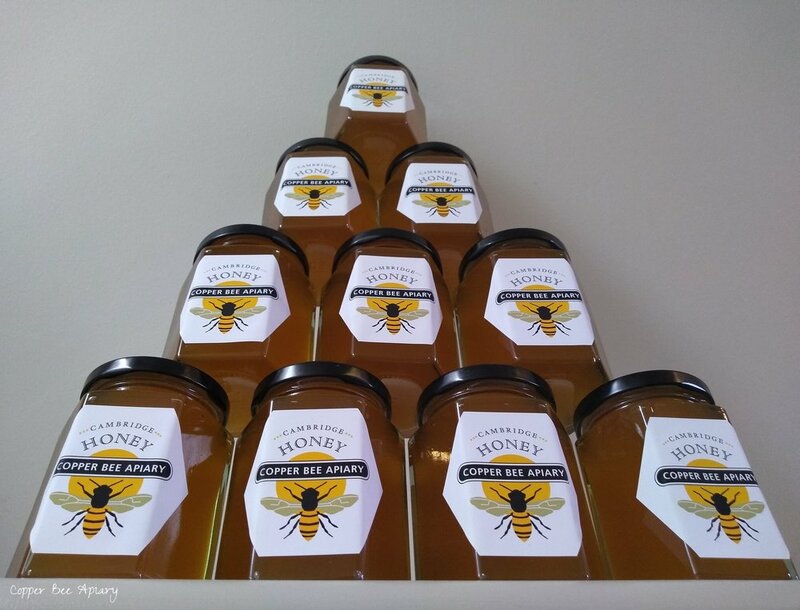 The big jar with the hexagonal label on in these photos does not contain honey. It contains tea! 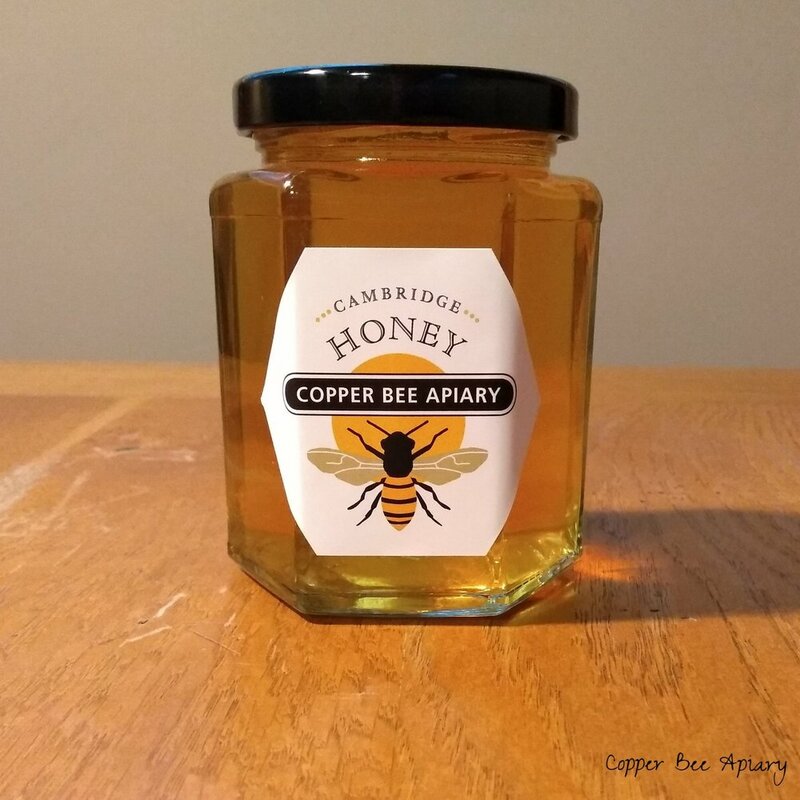 I didn’t have any big honey jars needing labelling, so I disguised an empty jar as a jar of honey for the photo shoot. 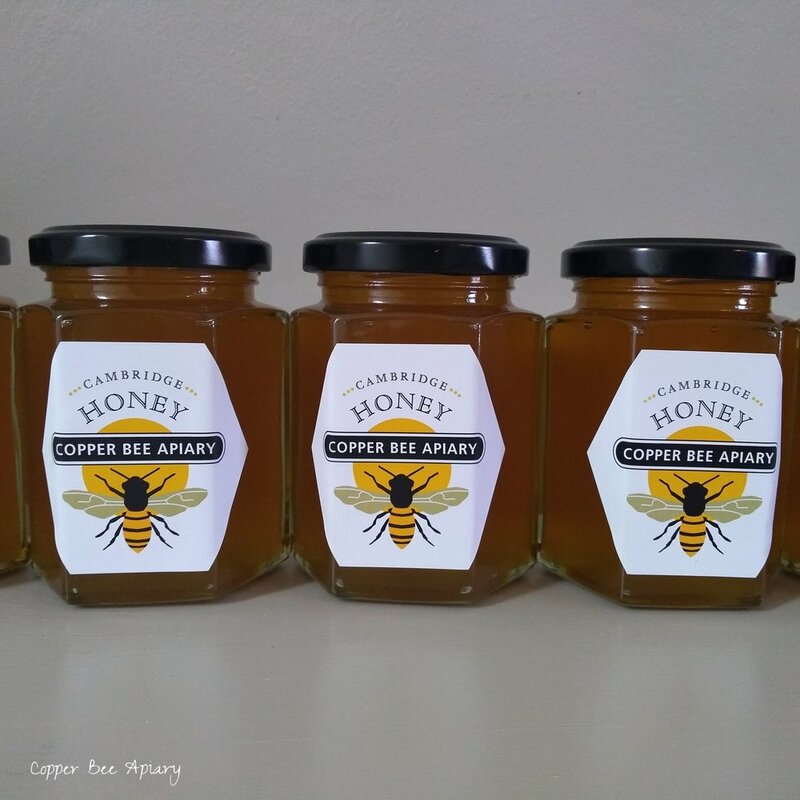 You might have noticed that some of the big jars have a new label on their lids - that little hexagon on the end of a strip. 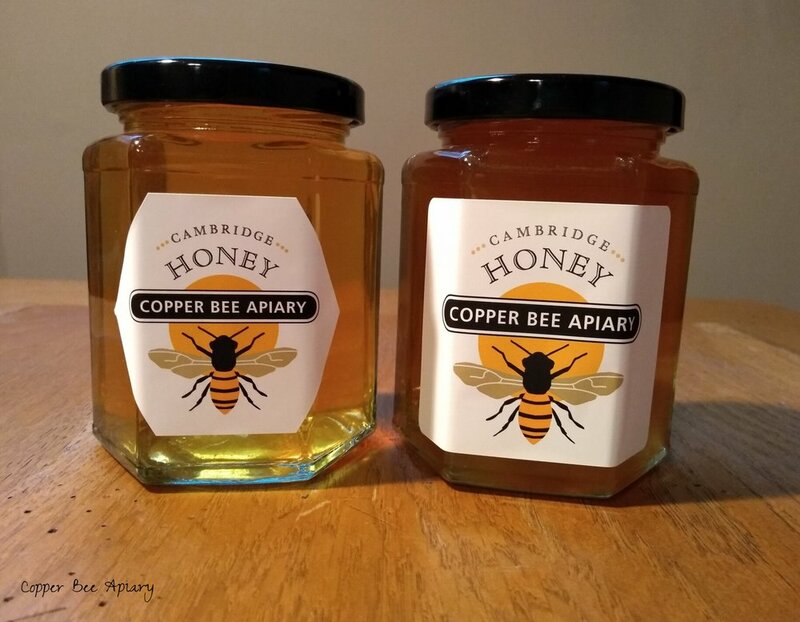 Those labels are purchased in aid of Bees for Development. Each label marks a donation of 10p. I think they look quite good. If they have a function, it's as a tamper proof strip, broken when the jar is first opened. That's nice to have in a shop situation (delusions again), where it's reassuring to know that a previous customer hasn't opened your jar and stuck their nose in. While we're on the subject of jars and geometry, let me say something about corners. I really like the hex jars and definitely prefer them to round honey jars, but they do have one vexacious feature, which is that pockets of air get trapped in the shoulders of the jar when it's being filled. Prime example in the above photo displaying the anti-tamper label. I try to avoid these air bubbles by flowing in the honey very slowly at that point of filling the jars, but it's tricky. Tiny air bubbles that rise out of the honey after filling can also accummulate there. 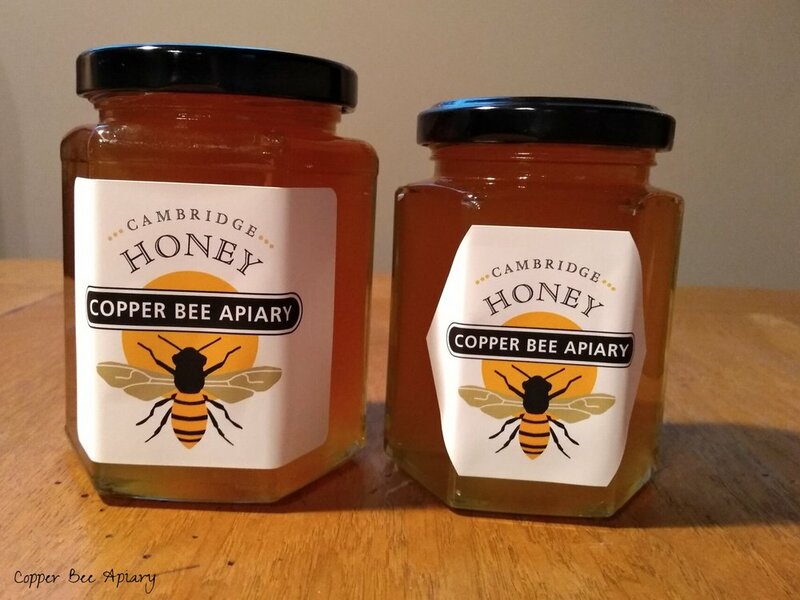 The jar in the photo to the left has mostly honey-filled corners - I was pleased with that one!